Richard Mabey's sparky, offbeat book is about canny and inventive making-do, or 'busking in the kitchen'. Whether creating a cassoulet which uses English ingredients, making bread from chestnuts or slow-cooking a Peking duck in front of an ancient fan heater, he encourages us to be daring and imaginative in our cooking and our approach to food. 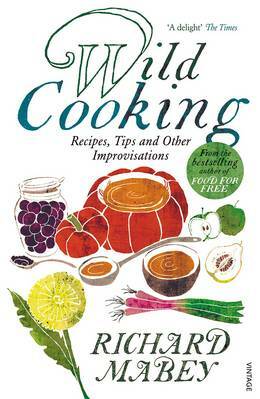 Although it contains wonderful, mouth-watering recipes like broad bean hummus, pumpkin soup and fillet-steak hearts this is more than a recipe book - it is a guide to a whole new way of thinking that embraces scrumping, celebrates picnics, and revels in saving energy wherever it can, whether that's by one-pot feasts or cooling on car radiators. After all, if you care about food 'life's too short not to stuff a mushroom'. Previously published in hardback as The Full English Cassoulet.